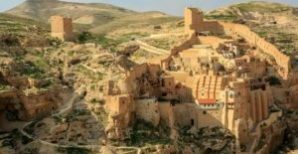 If you have limited time to hike in Israel, the special route through the northern Judean Desert to Mar Saba Monastery, a 1500 year-old structure, high above the banks of the Kidron Valley is a must for anyone looking for a unique and thrilling adventure. 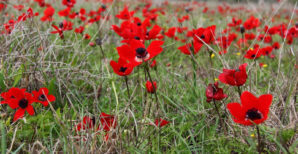 Finjan is taking a special Friday (Shabbat friendly) trip to the Western Negev to experience the famous 'Darom Adom' - the sea of Anemones (flowers) covering the area along the Gaza Strip. 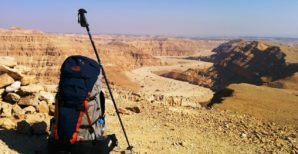 Finjan is heading to the Negev, deep wadis and massive cliffs around the Big Crater for a challenging day-hike. 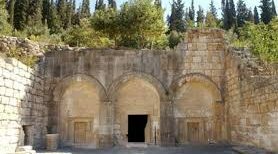 The second part of our Archeology & Wine series takes us to the Lower Galilee and ּBeit Shearim, the site of Judaism's most historically significant necropolis. 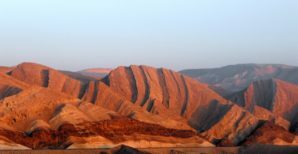 Finjan is heading deep into the Negev for a two-day, challenging, backpacking trip that will dig deep into the secrets of the wildest part of Israel's desert wilderness. 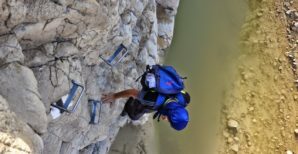 THIS HIKING ADVENTURE IS SOLD OUT! CONTACT FINJAN TO BE PLACED ON THE WAITING LIST.